"Mike Nordaby was easy to work with and on top of..."
"Excellent job! Everyone was extremely friendly and..."
"They were really good and I like the job they did. I don't..."
"Rusty is the BEST. He took time to explain things and to..."
"Your company provided a reasonable quote. We like the..."
"For 110 year old house there are going to be a few things..."
Less than 1% of roofers attain Owens Corning Roofing Platinum Preferred status. In need of home exterior repairs but not sure where to start? ECC Roofing & Siding offers comprehensive roofing and siding services that will give you the protection you need and the style you want. We have been in business since 1998, and in that time we have accomplished a thorough understanding of the roofing industry and the solutions that will work for your home. 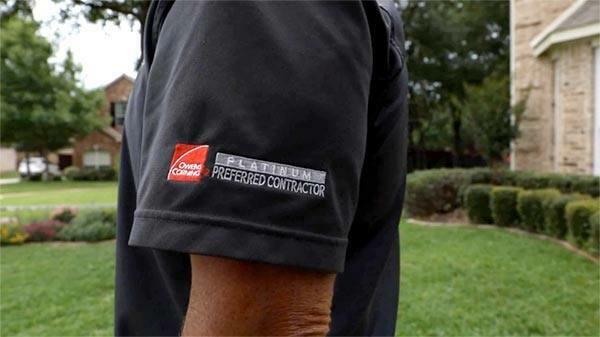 As an Owens Corning Roofing Platinum Preferred Contractor, we have access to the best-proven products and materials for your roofing needs. Our award-winning, trained and certified technicians are more than capable of fixing up your roof and securing your home from inclement weather year after year. Interested in seeing how our services can best benefit your home? ECC Roofing & Siding offers free cost estimates in Cherry Hill, Vineland, Clementon and areas nearby - give us a call or browse our site to discover more! Here at ECC Roofing & Siding, our professionals are trained in insurance projects to make sure you get your money's worth after a storm or severe damage to your roof. We can help with on-site assessments with the insurance adjuster and submitting insurance claims. Our expertise in this area is just one more way that we offer superior service to our customers! Let Us Worry -- About Roof Repairs -- So You Don't Have To! Even though your roof is a vital feature of your home - it protects you from the elements and adds structural support - you probably only at best glance at it occasionally when you’re leaving from or returning to your home. Unfortunately, roofing problems can accumulate while you're not looking, making them harder to fix. Routine maintenance is the best way to spot minor issues before they turn into major costly problems. Storms and roofing don't always mix here in the mid-Atlantic and tri-state area. When we get a hurricane, Nor'easter, or any other type of storm the damage can be costly, especially to the roofing, where no one typically looks. Hail, snow, and ice each year can cause further damage and even small problems can create large leaks down the road. ECC Roofing & Siding removes snow from roofs too, just contact us to get started and we'll tell you how our home services can help fix your problem. When you know your roof needs to be repaired or replaced, rely on ECC Roofing & Siding for the help you need. Our expert contractors offer free estimates on all of our roofing and siding services. Call us at 1-609-561-4355 or contact us online to schedule your free quote in Vineland, Cherry Hill, Clementon, Sicklerville, Bridgeton, Mount Laurel, Rancocas, Blackwood, Mount Holly, Hammonton, Monroe, and areas nearby!